Back by popular demand, this is a very special and unique course giving you a full experience of working with the generous delights of red cedar. 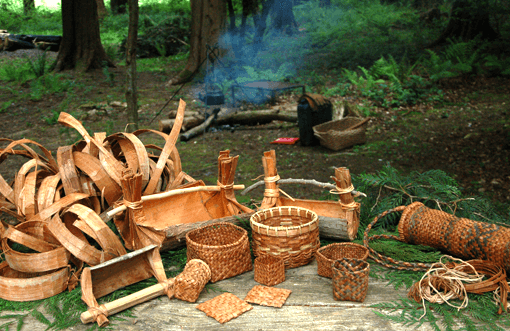 Spend 3 days in the forest, submerging yourself in the whole process of harvesting tree bark, roots and creating woven utensils. 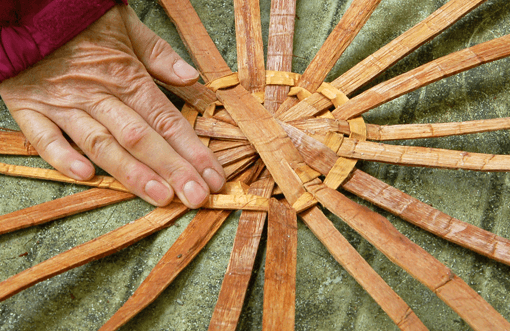 The second day we will prepare the bark by cutting it into strips and then move onto the weaving. Choice of basket design will either be a traditional Native American square based design with a bias weave and a folded woven border technique or a round bottomed vessel with a split spoke giving an odd number of weavers so that you could use a single weaver to rand around. Also covered will be the essential skill of cordage making, using the fibres of the bark to make rope and string.